I have been a bit M.I.A over the past few weeks here on my blog and on my social media as some of you may know... We bought a house :D. We found the one we wanted in late November and got set on all the paperwork over the Christmas period. After a pretty smooth transaction we exchanged and picked up the keys on the 27th January. After about two weeks of hard work stripping wall paper, painting, decorating etc we finally started to call our house a home. The room that we did the least to (so far) is the bathroom so we thought we should share this one with you first. We really liked the bathroom and it was a big selling point to us as it looked as if no work would need doing at all. With a few home touches such as storage baskets from Asda, a bath mat from Asda and a tooth brush and soap holder that we picked up in Home Sense, it shaped up pretty well. 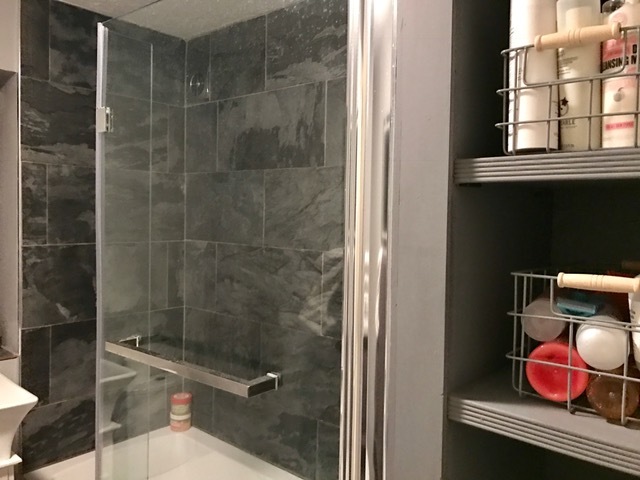 I love the colour theme of the bathroom and I love the tiles, this is totally something I would have picked out myself so we where glad that we don't have to make any drastic changes to it. After closer inspection and after living the house for a week or two we realised the shower isn't actually all what it is cracked up to be. Disappointingly, the water pressure isn't great and the shower is not powerful at all. 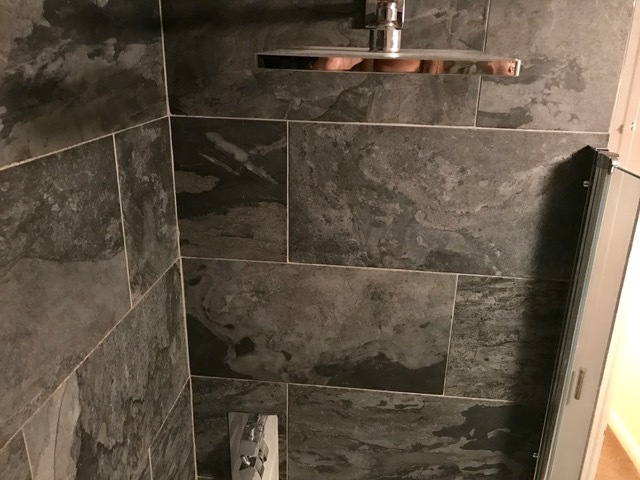 We are unsure whether a new shower head would make a bit if difference. I have been eyeing some up on superbath.co.uk . I love the style we have now so something similar like one from the Grohe collection would be great. 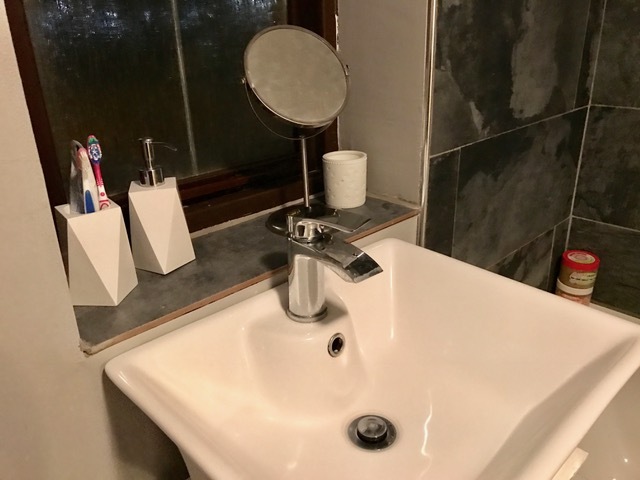 They also have a great range of taps so if we wanted to replace those too there are loads of options that will match and keep in the style of the bathroom. As we have pretty much spent up all of our savings on the house these changes may now have to come a few months down the line however, there is no harm in window shopping and getting organised now :). 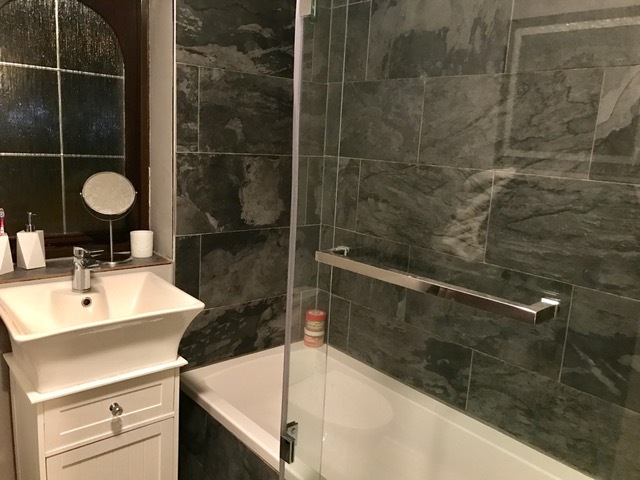 Over all I am really pleased with the bathroom and I'm glad it was sorted pretty quickly. I hope you enjoy my little tour!